The installation of quality uPVC guttering, fascias and soffits can totally transform the look of any building. A good guttering system not only finishes off the look of your roof but also proves invaluable in distributing the rainwater away from the brickwork of your building. If a guttering system is failing, water will be gushing from your gutters, soffits will be at breaking points and water will be running down the sides of your property, eventually ending up causing mould and damp to appear inside your home. Call JBL Roofing & Guttering Services today if you need new guttering to be installed or you need your guttering system to be assessed. Alterations to your existing guttering system can be made to ensure that rainwater flows more freely, or we can extend your guttering system if you have recently had an extension added to your property. We supply quality uPVC in a range of styles and colours to compliment any type of building no matter if it is old, traditional or modern in design. 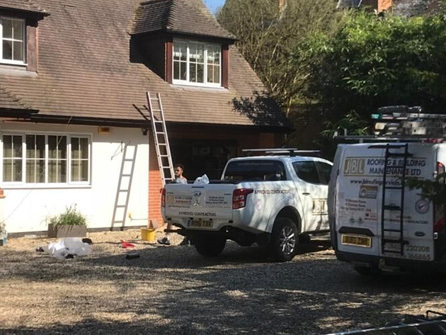 Our quality uPVC roofline products are virtually maintenance free, they need no painting and have no flaking paintwork to contend with, once fitted, you can forget about it. At JBL Roofing & Guttering Services we also provide uPVC weatherboarding and cladding, bird comb and pigeon spikes and gutter trays. 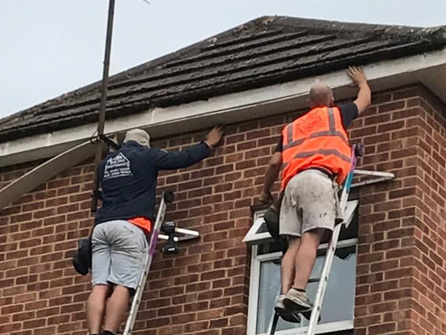 Our team are happy to repair any faulty guttering, cracked downpipes or broken fascias or completely start again with a new system. If your guttering is blocked then our team can help you with that too, no job is too small. We use our own machinery and tools and will prepare the scaffolding as needed to prevent any accidents to our staff or passers by. Commercial guttering can be vulnerable due to the weather and often needs repairing to avoid water entering into the property. 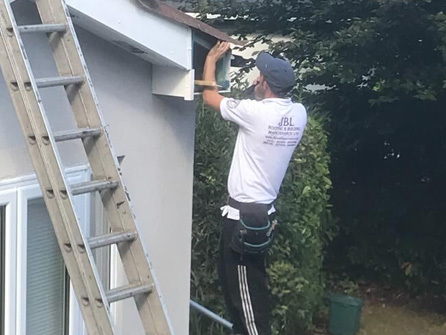 We maintain the guttering so business owners are not left with expensive and inconvenient repairs to handle, we reline and coat commercial gutters in order to stop cracking and splitting. All of our roofline products come with a 20 year guarantee and we will not be beaten on any genuine written quotation. No deposit is needed before we start work on your premises, we only accept payment on completion once you are 100% happy with our workmanship. 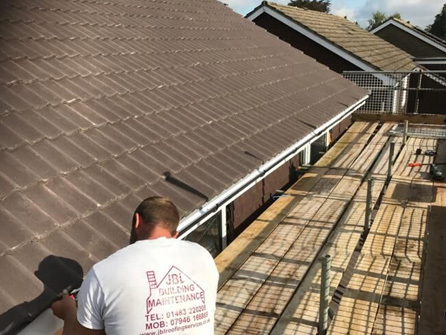 So, give JBL Roofing & Guttering Services a call today to discuss your guttering installations, we look forward to helping you with all of your roofing needs.